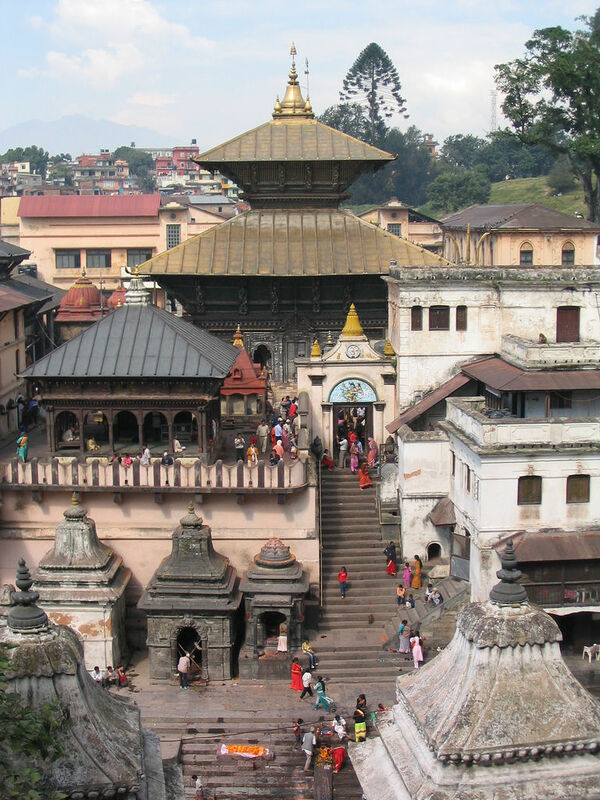 Kathmandu (Nepal): About 100 Maoist cadres on Sunday attacked the Pashupatinath temple caretakers who were protesting appointment of local priests in place of Indians, injuring 10 people in their latest assault on the shrine. The attack came even as the ruling party activists faced flak after storming the temple earlier this week to install Nepalese priests defying a Supreme Court stay order on removal of Indian priests, who had been overseeing traditional rituals at the shrine for the past 300 years. The local bhandaris, or temple caretakers, who vowed to launch a struggle to save the temple from "Maoist intrusion", faced the wrath of the partymen as they were set to organise a press conference, Kantipur online reported. Around 100 Maoists attacked the bhandaris and some local devotees in the temple premises, injuring 10 people, including a member of the state-owned Nepal Television crew. The fresh assault came hours after Prime Minister Pushpa Kamal Dahal 'Prachanda' said he did not intend to displace the South Indian 'Bhatta' brahmins, who had overseen rituals at the temple for the past 300 years. The appointment of Nepalese priests in place of Indians was a "mere coincidence" and not targeted at the latter, Prachanda said adding, the issue has been "pointlessly politicised". Kathmandu (Nepal): The Maoist government has deployed riot police at Nepal's holiest temple Pashupatinath to stop protesters as the party cadres escorted their newly appointed priest into the complex, defying the Supreme Court order. Maoists and cadres of the Young Communist League (YCL) stormed into the temple at 4 pm yesterday escorting the new priest to replace Indian pundits who have led prayers at the historic shrine for the past 300 years and this move triggered immediate protests from Hindu bodies and people residing in the vicinity of the temple. The move to replace the Indian priests has also been sharply rejected by the dominant opposition group Nepali Congress, but despite the apex court restrictions and growing opposition from Hindu groups, Maoists went ahead to install their appointed priests. Apprehending trouble for their appointees and cadres the Maoists have deployed riot police in large numbers to act tough with protesters. Citing the past noted historian Dinesh Raj Panta said in 1349 AD during the tenure of Rajdev Malla, Muslim ruler Samsuddin, who hailed from Bengal (India) attacked Kathmandu and broke the Shiva Linga of Pashupatinath temple into three pieces thinking that there was a storehouse of jewellery inside it. However, he left the place empty handed, the historian added. More than a hundred Maoists and cadres of YCL broke the lock of the Pashupatinath's main shrine and took the newly appointed priest Bishnu Prasad Dahal inside to capture the head-priest's seat, former member of the Pashupati Area Development Trust Narottam Vaidya said. The local Bhandaris, who have been opposing the Maoists' intervention, will now hand over the Supreme Court's order to the officials of the Pashupati Area Development Trust and then attempt to reinstate the old priests or Bhattas in the temple, Vaidya said. Maoists stormed the temple a day after Prime Minister Prachanda made an agreement with opposition Nepali Congress to stop all unruly activities of the YCL in two weeks. "The daily worship taking place for hundreds of years at the Pashupatinath Temple was disrupted due to interference by Maoists since yesterday," said Bharat Jangam, a local worshipper. The new priest has not yet started the actual worshipping job as he is not acquainted with the tradition and rules of the shrine, locals said. Observers take the incident as another cultural invasion by Maoists after they cut the budget of Kumari chariot festival of Kathmandu few months back. The apex court had issued the stay order in response to the appeal made by local Bhandari people and civil society members, who demanded that newly appointed priest should not be allowed to worship and the Indian priests, who have been performing the rituals for the past 300 years in the temple should continue.